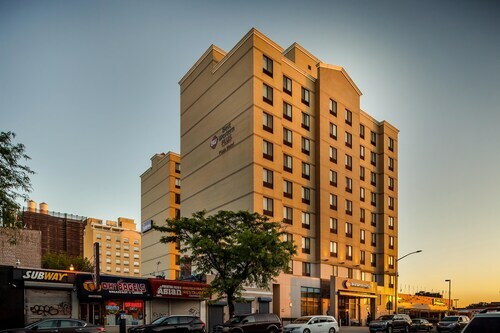 Located on Queens' main thoroughfare, this smoke-free La Quinta is less than 4 blocks from the nearest subway station and is less than 3 miles from Manhattan. Situated near the airport, this hotel is within 3 mi (5 km) of Roosevelt Island, Memorial Sloan-Kettering Cancer Center, and 5th Avenue. United Nations Headquarters and Central Park Zoo are also within 3 mi (5 km). 21 St. - Queensbridge Station is only a 5-minute walk and Queensboro Plaza Station is 12 minutes. 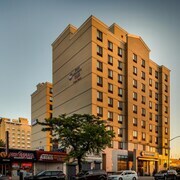 Situated in Long Island City, this hotel is within 3 mi (5 km) of Roosevelt Island, United Nations Headquarters, and Memorial Sloan-Kettering Cancer Center. 5th Avenue and Madison Square Garden are also within 3 mi (5 km). 23 St. - Ely Av. Station is only a 2-minute walk and 45 Rd. - Court House Sq. Station is 6 minutes. Attractions such as the Empire State Building, Times Square, Central Park, and Macy's are just a ride on the F train away, which is only a few steps away from the hotel. Only steps from the Queensboro Subway station (7, N, Q), the Red Lion Inn & Suites Long Island City is conveniently located for a 15-minute ride to Times Square. 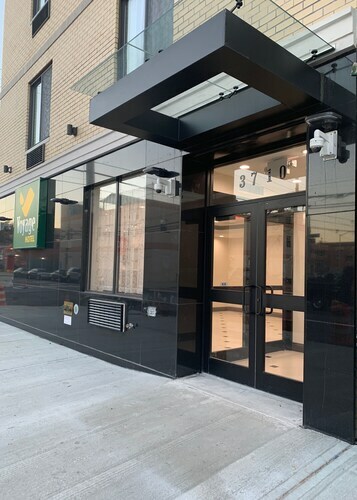 Located in the heart of Long Island City, this luxury hotel is within 1 mi (2 km) of Museum of the Moving Image, MoMA PS1, and The Foundry. Noguchi Museum and USTA Billie Jean King National Tennis Center are also within 9 mi (15 km). 39 Av. Station is only a 5-minute walk and Queensboro Plaza Station is 7 minutes. 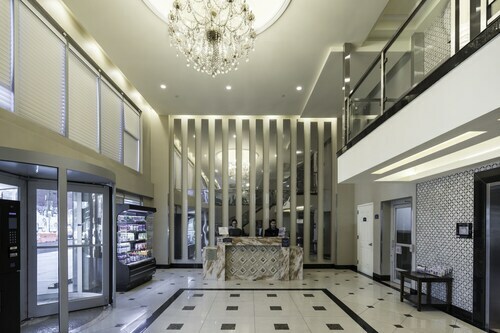 Situated in the business district, this boutique hotel is within 3 mi (5 km) of United Nations Headquarters, Bloomingdale's, and Empire State Building. Grand Central Terminal and Central Park are also within 3 mi (5 km). 23 St. - Ely Av. Station is 7 minutes by foot and 21 St. - Queensbridge Station is 9 minutes. 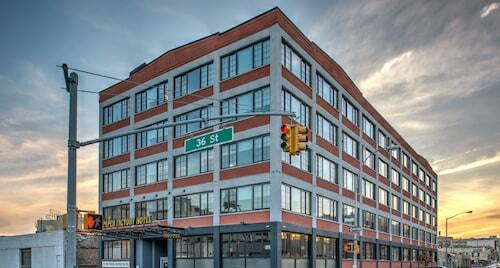 How Much is a Hotel Room in Long Island City? 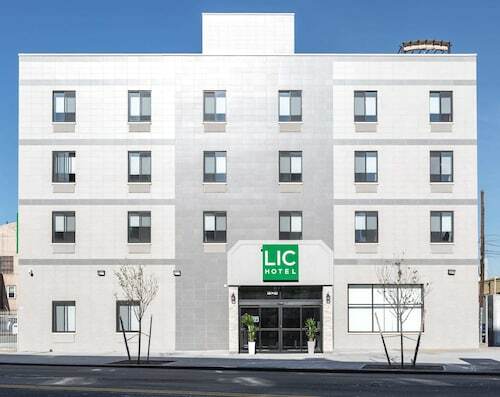 Hotels in Long Island City start at $68 per night. Prices and availability subject to change. Additional terms may apply. Say hello to Long Island City, known as the LIC—a gem of a neighborhood in New York's well-known borough of Queens. Boasting a thriving arts scene, solid nightlife, gorgeous waterfront parks, and excellent cultural institutions, Long Island City wows at every turn. Before you come explore the neighborhood, search for Long Island City hotels next to attractions you wish to visit. No trip to Long Island City would be complete without chilling at Gantry Plaza State Park; situated right on the East River, this natural area offers incredible views of the magical Manhattan skyline, as well as ample space to stretch your legs and roam free. If you're into art, you have lots to explore, including the contemporary displays at the Fisher Landau Center for Art, the innovative exhibits at MoMA PS1 (an affiliate of the Museum of Modern Art), and the sculpture presentations at the Noguchi Museum. The Socrates Sculpture Park is also worth strolling through if you have time, as this site blends nature and art quite harmoniously. During winter, City Ice Pavilion is the place to skate in the neighborhood. Culinary options span the globe here. 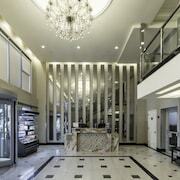 Any one of the hotels in Long Island City will put you near tasty eateries. Along Vernon Boulevard and Jackson Avenue, for instance, you'll discover everything from ramen joints and Thai restaurants to classic American diners and French cafes. 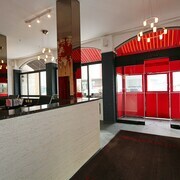 If you want extra cash in your pocket to enjoy the food here, check for New York City hotel deals. That will also leave you money to enjoy the nightlife scene in the area, which consists of everything from Irish pubs to craft breweries to cocktail bars. Are you ready to have a blast? Travelocity has everything you need for your trip, from car rentals in Long Island City to flights to New York City. If you combine your flight with any of the hotels near Long Island City, you can save up to $537 off your total expenses. It was all cool! Everything was great. Room was exceptional clean and comfortable. Friendly staff. Very clean rooms and great breakfast. Clean room and bathroom, although right next to train tracks. Bring ear plugs or ear buds if you listen to music to sleep. Thin walls, you can hear your neighbors talking in normal volume. 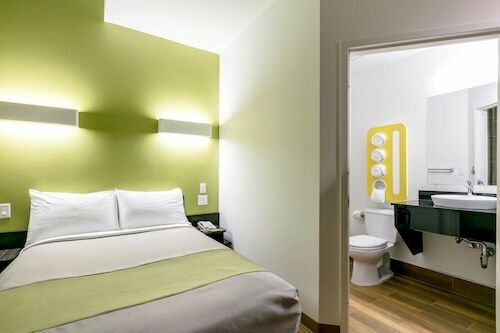 Chill little hotel near the subway station, with nice room. Very clean. Easy to get into the city. Comfortable room. Had issues with key card but otherwise very good.